Let’s unravel the biggest CE certification myth for you. This myth caused many companies to waste a lot of money. I realize that this may astonish you, but unlike other product certifications (e.g. UL, CSA) for many products the CE marking does not require a third party certification body to be involved. In other words, manufacturers can do the CE marking conformity assessments him/herself. In these economically challenging times, everybody is interested in reducing costs and saving money. Obviously, doing CE marking self-certification and cutting out the certification body are great ways to get access to the European market without the huge fees certification bodies charge. Machinery: only 17 groups of high-risk machinery (such as sawing machines and press machines with manual loading/unloading) are listed as machinery that may need to be certified by a third party. However, even these machines do not require the intervention of a certification body if the manufacturer applies the applicable European harmonized standards. That means that the great majority of machinery may be self-certified. Electrical equipment: in almost all cases electrical equipment does not need to be tested and certified by a third party certification body. Electronics: electronics do not need to be tested and certified by a third party certification body, if the manufacturer applies the available European harmonized standards. Medical devices: Class I medical devices that are not sterile or have no measuring function do not need to be tested and certified by a third party certification body. Construction products: a large group of construction products do not need to be certified by a third party certification body. Pressure equipment: a large group of pressure equipment do not need to be certified by a third party certification body. If you want to know if you can use self-certification for your products, check the text of the applicable CE regulations. Or simply ask us. Self-certification is completely legal and this is not some scheme to “cut corners”. The European regulator is actively promoting the concept that manufacturers ensure and declare compliance themselves. The next question you may have is how to actually do the self-certification for your products. Which assessments should you do? How to perform these assessments? And how to prepare all the necessary documentation? We offer the framework in the form of a self-paced online workshop, or with a bit more hands-holding as a coaching program. Are you interested in self-certification, and how you can benefit from our framework? 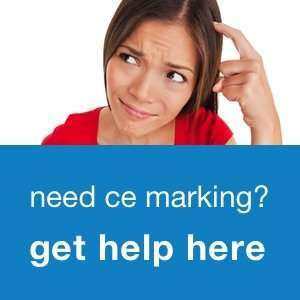 Please visit https://cemarking.net/start to get started.